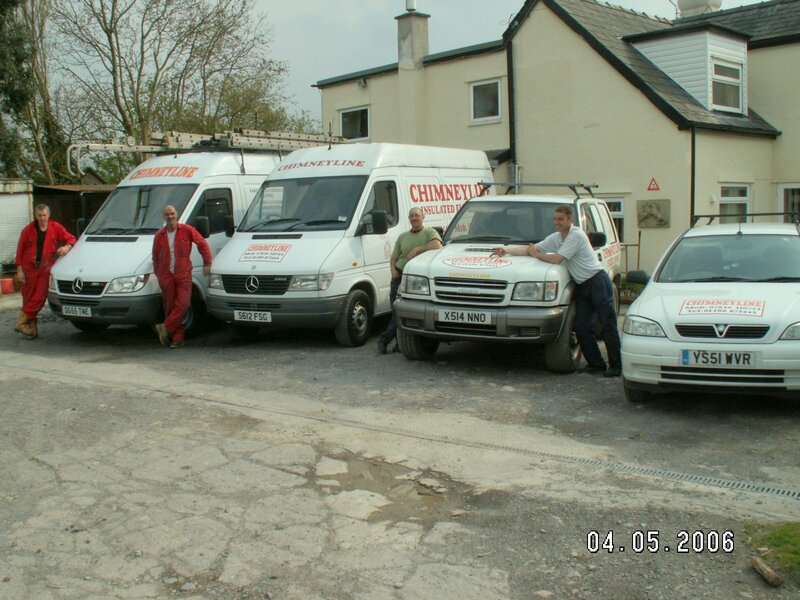 We travel to most areas to carry out Installations covering Gwynedd, Anglesey, Conwy, Cheshire, and Wirral. Single Storey to 3,4 and 5 storey buildings. In the latter years we have been giving a full service and use Stainless Steel, Eldfast and Cast linings, Carry out appliance installations, digging out of Inglenook fireplaces, Laying Hearths, and now even supplying appliances. All work is carried out by HETAS/NACE registered installers. As solid fuel burning is becoming a desirable source of heating there are many who feel they are able to line chimneys and install appliances, Unfortunately many of these are unregistered and carry out the installations guided by books or on the web where there is much information, Unfortunately reading how to carry out installations and actually doing are two different stories. We at present are rectifying works carried out by this type of person. It is a dangerous world out there, eventually someone will inevitably be hurt by this type of installer and pay the consequences? Your Chimney may need lining BUT alternatively may only require a cowl or an air vent – It’s worth finding out.